Where it gets a little murky is how you classify people as they move through the funnel. This is where we start to hear terms like "marketing qualified leads" and "sales qualified leads," or their acronyms: MQLs and SQLs. These different categories of leads and customers are called lifecycle stages. Different companies often have different names for these stages. And, what's even more confusing is that many companies call them the same thing but have different definitions. We want to help clear up this ambiguity and confusion. In this post, we'll break down each stage with their most common definitions. This is one of the easiest lifecycle stages to understand because, well, subscribers are subscribers. In other words, they’ve signed up to receive content from you but haven’t taken any other actions. People should be categorized as subscribers when they fill out a form to receive your newsletter or notifications about new blog posts. The subscriber lifecycle stage is also a great place to put leads that have been disqualified but are still interested in your content. It doesn’t make a whole lot of sense to spend a lot of time trying to sell to your subscribers. The subscribers will typically be a large pool of people and it’s likely that the majority of them will never become customers. What you should do is continue to give them content that’s valuable to them, and make sure there’s always an opportunity for them to “raise their hands” if they become more interested in what you have to offer. Pro Tip: Even the subscribers who aren’t a fit for your core products and services can be valuable to your company. If they love the content you put out, they could become your biggest advocates in the marketplace. You may also be able to monetize this audience by creating secondary, more transactional products such as courses, branded products, or books. Leads are the people who have shown some interest in the products or services you offer, but aren’t yet qualified beyond that. Usually, someone gets classified as a lead once we know they have a problem we can help them solve or an opportunity we can help them achieve. But, we still don’t know if they have the budget required to work with us or if they’d be a good fit as one of our customers. We typically know they have a relevant problem or opportunity because they’ve taken advantage of a top of the funnel offer. This may be downloading a piece of educational content, using an online tool, or taking a quiz. This is also the lifecycle stage most commonly used when importing leads you’ve gathered offline from things such as trade shows or events. You’ll want people to stay classified as leads until they’re either disqualified or they take an action that signals they’re ready to move up to the next lifecycle stage. As such, people may remain in the lead stage for quite some time. This is the stage where things start getting serious. A marketing qualified lead is someone who the marketing department has determined is ready for a one-on-one follow-up from the sales team. This is also the stage where you begin to see big difference between companies in the methods they use to classify different types of leads. At the simplest level, you can designate someone as an MQL once they fill out a form for a bottom of the funnel (or decision stage) offer. This may be a product demo, product guide, or request for a quote or proposal. However, classifying someone as a marketing qualified lead is usually a little more complex than that. First, you want to make sure that your marketing and sales departments agree on what “qualified” means. 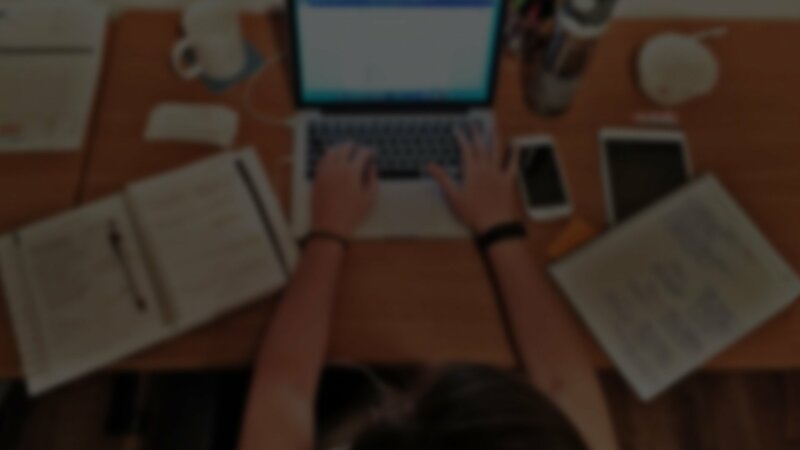 You’ll also want to make sure that people with red flags don’t move up to this stage, regardless of whether they’ve filled out a bottom of the funnel offer or not. For example, if your company works with medium-sized enterprises, you don’t want to pass off a one-person company to your sales team just because that person downloaded a product guide. Another thing you’ll want to make sure of at this stage is that you have all the information about the lead that your sales people will need. This will vary from company to company, but it usually includes at least their phone number, job title, and geographic region. You can use the form that gates your bottom of the funnel offer to ensure that you get all the necessary information. In some companies, lead scoring may be used to designate someone as an MQL. This allows them to take more into consideration than just a single action like filling out a bottom of the funnel form. This is another stage that can vary between companies, but the basic definition is generally the same. Sales qualified leads are leads that your sales team has accepted as qualified. It’s usually the process of moving a lead from MQL to SQL that varies. Sometimes, MQLs get upgraded to SQLs after a sales person or sales manager reviews the lead’s information in your CRM and decides to pursue them. Other times, the action that a lead took to get upgraded to an MQL in the first place will put them in touch with a salesperson, such as a request for a demo. The salesperson will then use that interaction to decide if the lead is truly qualified or not. Another common practice is for salespeople to begin by trying to set up an initial call -- we usually refer to this as a connect call. The salesperson will typically send the lead a series of emails to try to get the lead on the phone for 20 minutes or so. The goal of that 20-minute call is to find red flags that disqualify the lead. If none are found, the lead gets upgraded to an SQL and the salesperson continues to work with them. If you’ve designated MQLs correctly and your marketing and sales departments are properly aligned, nearly all of them should become SQLs rather quickly. Pro Tip: If you’re using HubSpot’s Sales Starter or Sales Pro, you can leverage email templates, sequences, and meetings links to make the process of requesting and scheduling a connect call much easier. People get moved to the opportunity stage once a real sales conversation has begun. This usually means that you have a clear idea of who the decision maker is and a pretty good idea of what products or services they’re interested in, how much the deal will be worth, and what the timeline is for them to make a decision. For example, we move people to the opportunity stage once we’ve had a discovery meeting and they’ve requested a proposal. This one’s pretty clear, customers are people who have decided to buy from you. How long people stay classified as a customer, though, usually depends on the type of business you have. For example, if you work with people on a recurring or ongoing basis, people usually stay classified as customers for as long as they’re continuing to work with you. If your business is more transactional in nature and people make one or more repeat purchases, it’s up to you how long people should stay classified as customers. You may decide that, once someone makes a purchase from you, they stay classified as customers. Or you may want to downgrade their lifecycle stage if they haven’t bought from you in a predetermined amount of time. Evangelists are people who are advocates for you. Some companies classify anyone who refers business their way as evangelists. Other companies put all past customers in this category (as long as the customer was happy with the product and/or service). Both of these are good options, but you'll need to decide which one is best for your company and ensure that the definition remains consistent across the company. If you’re using HubSpot, you’ll also have a lifecycle stage option for “other.” We use this as a catch-all category that we further define with a second custom field. We call that second field “Other Clarification” and have options such as vendor, influencer, media contact, etc. 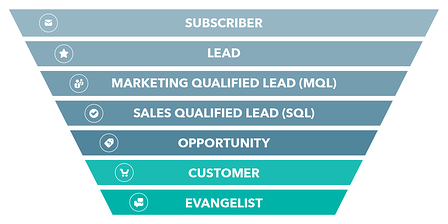 We hope this guide helps you clear up lifecycle stages for your marketing and sales team so you can focus less on what each stage is and more on moving those leads through the funnel. If you have any questions unique to your company, let us know in the comments and we’d be happy to help!